Synthetic oligonucleotides (oligos) enable us to assemble novel DNA sequences or create copies of existing genes. This week&apos;s assignment will give you experience building genes and expressing them in bacteria. 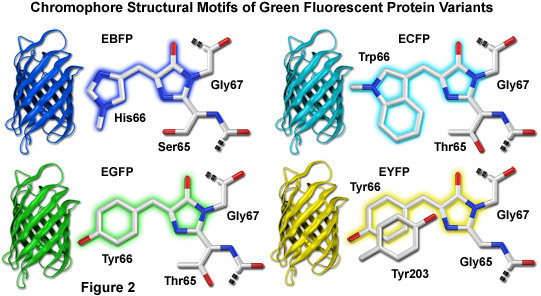 Lab Task: Recode green fluorescent protein (GFP) to instead emit blue or cerulean light. Confirm success by transforming your assembled BFP and CFP variants into E coli cells. Theory Task: Design a gene. Describe a detailed workflow for constructing and expressing it. Identify how the parts of your genetic construct relate to DNA replication and the Central Dogma of Molecular Biology. Oligo pairs that will be used together as PCR primers together are named with the format XGolgat_1F and X_Golgat##R or XY_Golgat_1F and X_Y&apos;_Golgat##R. 3 Prepare Golden Gate annealed duplex fragments. 4 Prepare the other Golden Gate fragments by PCR from plasmid X in primer pair X_Y_Golgat.